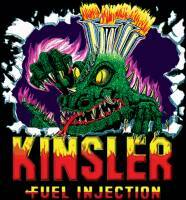 Kinsler Fuel Injection has powered many of the most famous names in racing for over 45 years. Check out the Recently Listed Air Cleaner Assembly Components. Check out the Recently Listed AN/NPT Fittings and Components. Pit Stop USA is The Online Motorsports Superstore! We feature Check Valves / Jet Cans at low everyday prices. Pit Stop USA is The Online Motorsports Superstore! We feature Direct Drive Fuel Pumps at low everyday prices. Check out the Recently Listed Fuel Pump Components and Rebuild Kits. Check out the Recently Listed Fuel Pump/Filter/Regulator/Cooler Brackets. Pit Stop USA is The Online Motorsports Superstore! We feature High Speed / Low Speed Bypass at low everyday prices. Pit Stop USA is The Online Motorsports Superstore! We feature High Speed Bypass at low everyday prices. Pit Stop USA is The Online Motorsports Superstore! We feature Jet Cans / Main Bypass at low everyday prices. Pit Stop USA is The Online Motorsports Superstore! We feature Kinsler Fuel Injection Parts at low everyday prices. Pit Stop USA is The Online Motorsports Superstore! We feature Kinsler K-Jets at low everyday prices. Check out the Recently Listed Leakdown Testers. 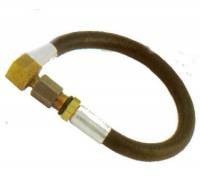 Check out the Recently Listed Mechanical Fuel Injection Components. Check out the Recently Listed O-rings. Pit Stop USA is The Online Motorsports Superstore! We feature Kinsler Fuel Injection Systems. Kinsler Dragon Claw Fuel Injection Units are Available in aluminum or magnesium. The manifoldas adjustable torque curve provides more horsepower. Components include aluminum linkage with grade eight fasteners, hard anodized aluminum barrel valve, extra wide throttle shaft bushings and CNC-machined ports, inboard and outboard nozzle bosses and tapered ram tubes with 180A tops and removable adapters. Kinsler K-Jets are precisely machined and stamped with the Kinsler name. 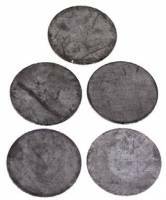 Reamed orifices are available from .050" through .108" and controlled to within .0002". Kinsler K-140 High Speed Bypass for 49-106 PSI. Kinsler Fuel Injection Replacement parts include Kinsler Up Nozzle Lines, Kinsler Down Nozzle Lines, Kinsler Injector Nozzles, Kinsler Aluminum Banjo Body, Kinsler Aluminum Nozzle Banjo, Kinsler Bronze Air Filter, Kinsler Air Filter, Kinsler Nozzle O-ring, Waterman 400 Fuel Pump, Sprint 500 Fuel Pump, Kinsler Low-Speed Bypass, Kinsler Bypass Poppet For Main Bypass, Kinsler Brass Shim For Bypass, Kinsler Main Bypass, Kinsler Spring For Bypass, Kinsler Plastic Jet Holder Case, Kinsler High-Speed Bypass, Kinsler High-Speed Bypass Diaphragm, Kinsler Fuel Filter, Kinsler K-Type 2-Pc. Aluminum Throttle Link Arm, Kinsler Port Plugs and Kinsler Fuel Pump Fittings. We feature Kinsler Fuel Injection products at low everyday prices!